Having an email account is very essential for anyone who use the internet to take benefits from different ways like blogs subscriptions, News updates, products info’s etc. Email address is a basic requirement for sending and receiving emails, without this you cannot send documents, snaps, audio/video files to anyone or else receive. And the second thing is in this digital world you must have a mail address. You can not register on Facebook, Twitter, LinkedIn and Pinterest without mail address. However, some of these services do allow registration via your cell number. So, you need to signup for an email address to get the benefits mentioned above. There are many free email services providers such as Hotmail, Yahoo and Gmail. 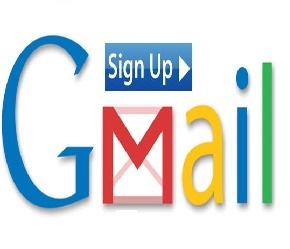 In this article, we will guide you on “How to Signup Gmail Account”. Basically, this article helps newbies who are new in the world of internet. Go to www.gmail.com and click on Create an account. Now enter your name, your desired email address, date of birth, gender, mobile number, country and other info which are required for registration. You should use the strongest password. Check google TOS box and click on Next Step. 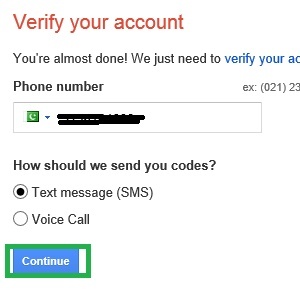 Verify your account by providing a mobile number, Google will send you an SMS with a verification code. Enter the verification code and click on continue button. 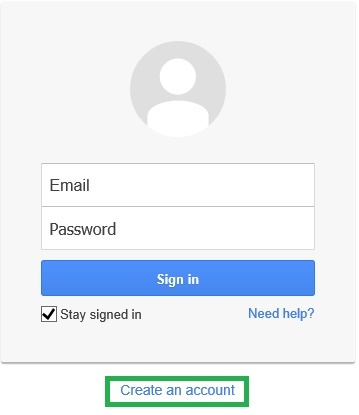 After this Google will tell you to set up your profile, you can skip it by clicking on No Thanks button. Congrats, you have successfully created your Gmail account.